Hinduism is often labeled as a religion of 330 million gods. This misunderstanding arises when people fail to grasp the symbolism of the Hindu pantheon. 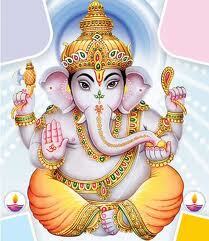 Hindus worship the nameless and formless Supreme Reality (Bramh) by various names and forms. These different aspects of one reality are symbolized by the many gods and goddesses of Hinduism. For example, Brahma (not to be confused with the over-arching Bramh) is that reality in its role as creator of the universe; in Vishnu it is seen as the preserver and the upholder of the universe; and Shiva is that same reality viewed as the principle of transcendence which will one day 'destroy' the universe. These are the Trimurti, the ' three forms,' and they are not so much different gods as different ways of looking at the same God. Each emphasizes a particular aspect or function of the one reality. Without Hinduism there would be no yoga, without yoga, there would be no Hinduism.